There are 69 Superfund sites in Washington State. These areas are polluted with highly hazardous waste; they are traditionally difficult, expensive, and long-term clean-up projects. But what if we could get trees to do the heavy lifting? In particular, what if biofuel producing poplars could be used to restore Superfund sites? Dr. Sharon Doty’s lab at the University of Washington has been looking into those very questions. Her lab has been experimenting with improving the use of plants to clean up, or remediate, polluted sites. This solar-powered pollution-removal system is called phytoremediation (click the link for a short video). Poplar is especially well-suited for this kind of work, given its fast growth and natural propensity for removing and degrading certain compounds. In fact, they have been used successfully for clean-up for decades. So far, the experimental results have been encouraging; poplars have degraded insecticides, solvents, inorganic pollutants, and even explosives. However, pollutants can take a heavy toll on plants if they can’t break the toxins down fast enough. It turns out that a plant’s pollutant-survival powers don’t come entirely from the plant itself, but rather also from tiny microbes living inside of them, otherwise known as endophytes. Endophytes naturally form mutually-beneficial bonds with wild plants, but some endophyte strains are more effective than others at specific tasks. Doty and her colleagues are able to isolate certain endophyte strains from poplar, grow them in cultures, and then inoculate other plants (including poplars) with them. Endophytes can rapidly breakdown or detoxify certain chemicals and pollutants, allowing the plants to survive longer and even thrive in substandard growing conditions. 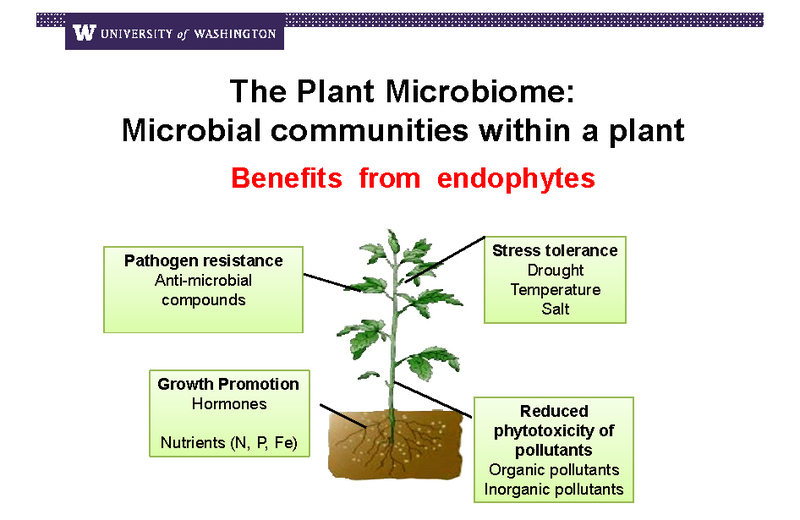 Endophytes also allow plants to grow and increase yields in low-nutrient conditions, and improve the drought tolerance of plants! The Doty lab’s most recent work on endophytes, poplar trees, and the carcinogen trichloroethylene (TCE) moved the experiments out of beakers and into a TCE-contaminated Superfund site in California. The endophyte-inoculated poplars were impressively effective at degrading the TCE in the groundwater—growing 30% larger than non-inoculated trees, and degrading 50% more TCE. 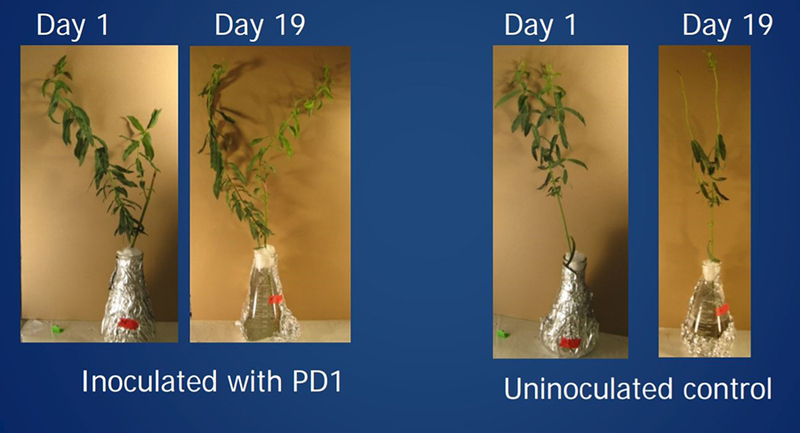 To learn more about this work, check out the webinar “Partnering Trees and Microbes for Tackling Environmental Pollutants”. Illumina Inc. has also produced a great video on Doty’s microbe-plant partnerships that you can watch. Reducing the carbon footprint of the transportation sector with biofuels is already a worthy endeavor, and endophytes open up a whole new batch of win-win scenarios. In cases where phytoremediation may be more expensive than simply capping the land, the additional draw of biofuel and biochemical producing poplar may make the clean-up feasible. 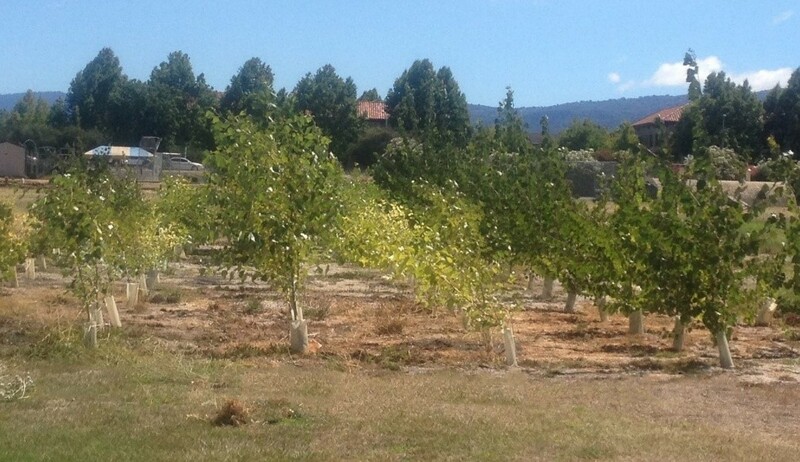 Alternatively, the additional ecosystem services of endophyte-inoculated poplar may be what a landowner needs to adopt the crop. The groundbreaking field research from Doty’s lab will hopefully make it possible for phytoremediation to happen on a large scale. Those itty bitty microbes pack a powerful punch! Doty, S. L., Freeman, J. L., Cohu, C. M., Burken, J. G., Firrincieli, A., Simon, A., Khan, Z., Isebrands, J.G., Lukas, J., and Blaylock, M.J. 2017. Enhanced degradation of TCE on a superfund site using endophyte-assisted poplar tree phytoremediation. Environmental Science and Technology. 51(17). 10050-10058. DOI: 10.1021/acs.est.7b01504. Khan, Z., Roman, D., Klintz, T., delas Alas, M., Yap, R., and Doty, S.L. 2014. Degradation, phytoprotection and phytoremediation of phenanthrene by endophyte PD1. Environmental Science and Technology. 48(20). 12221-12228. DOI: 10.1021/es503880t.